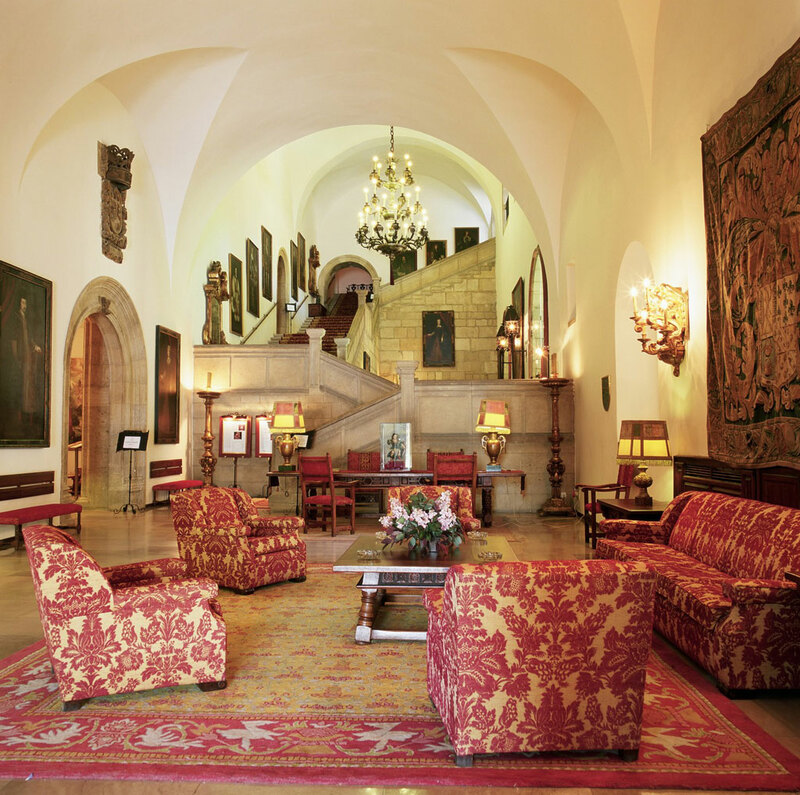 Parador Hostal de San Marcos is one of the most extraordinary historic hotels in Spain. Construction of the building was begun in the 16th century, together with the bridge across the River Bernesga in the outskirts of León. It was built to house the peninsula's western headquarters for the Military Order of Saint James. The project was financed by King Ferdinand the Catholic. The magnificent hotel is a museum of stately function rooms, with a spectacular cloister and chapter house; spacious, elegant guest rooms; a library; and a wonderful restaurant that offers beautifully prepared traditional cuisine. 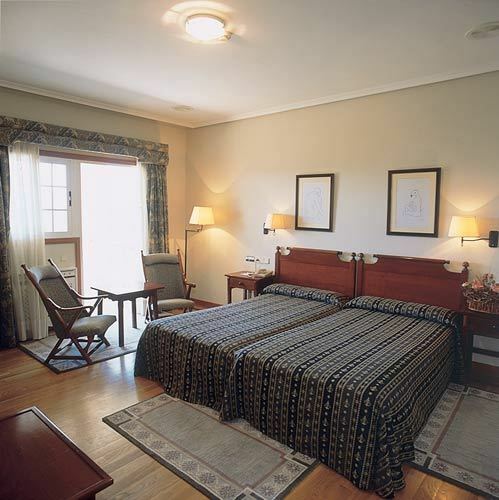 Hotel Astur Plaza is in a central location in the town square or Plaza de Espana, and at the crossroads of the Camino de Santiago and Camino de la Plata. It is a modern property with a warmly welcoming atmosphere. 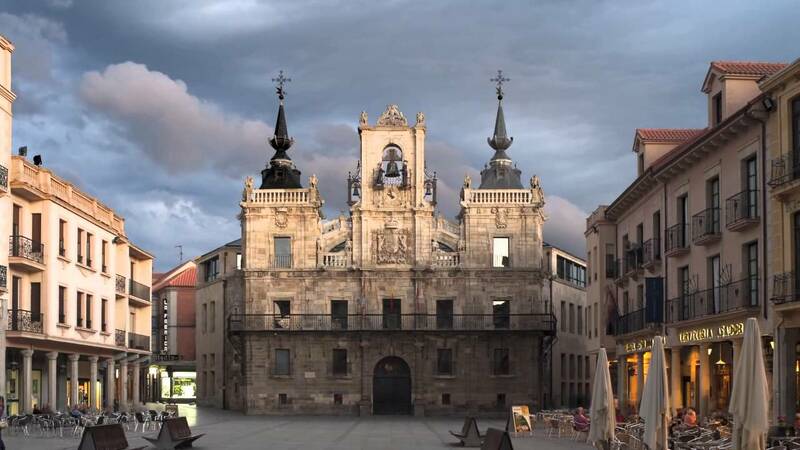 The 17th century town hall building with impressive architecture is visible from the hotel rooms and also worth a visit are attractions like the medieval city walls with the San Isidro Tower, the Cathedral considered one of the most beautiful in Europe, as well as the Convento de San Marcos and the Palacio de los Guzamanes. All contain evidence of the rich culture and history of the Leon region. 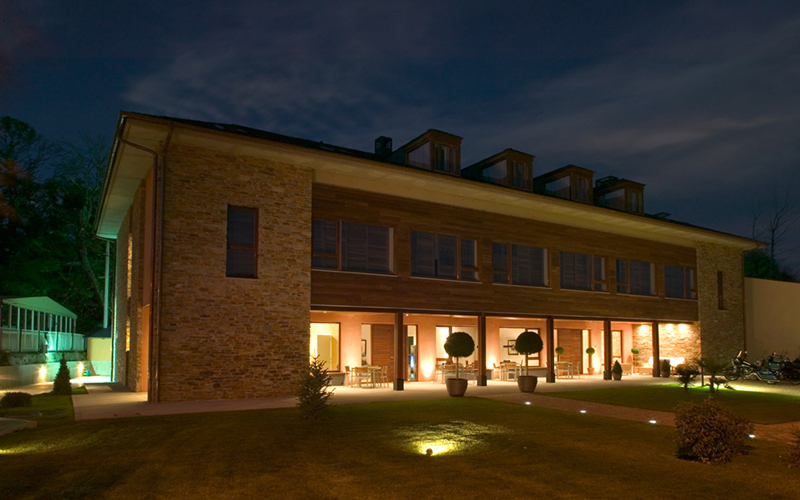 Hotel de Floriana is a delightful rural hotel, newly opened, and located in Molinaseca, on the Camino de Santiago. The village has been declared a 'Patrimonio Historico Artistico' due to much of its original architecture having been saved. The hotel's rooms are air conditioned and soundproofed, with free wi-fi, hairdryer in the full private bathroom, safe, minibar and some rooms have hydromassage baths. The decor is sophisticated and modern with wonderful bathrooms. Breakfast is served in the dining room or on the terrace and the restaurant serves very good regional food and has an extensive winelist. Should customers want to pamper themselves there is a lovely spa at the de Floriana. Hotel O Cebreiro is adjacent to the church and is the original pilgrim refuge which was later called the San Giraldo de Aurillac. This is run by the family of the late Don Elias Valina Sampedro, the local priest who mid twentieth century reinvented the idea of the Camino and painted the first yellow arrows which the pilgrims now follow. He is buried in the church cemetery. The Valina family also run a separate bar/restaurant near the church and serve a very good menu del dia (dish of the day). Hotel Pousada de Portomarín "This hotel is a little gem. Whilst on the camino, my wife became unwell and I had to leave her at the local bus stop. When I reached the hotel the staff immediately arranged a taxi so I could collect her, the staff were wonderful. The room had a separate sitting room and the food was excellent. There is a rather pleasant pool. The setting is spectacular. Hope to return"
"Our hotel room was spacious and very clean. We totally enjoyed the narrow but deep soaking bathtub en suite. The laundry service was fast and efficient and did our clothing overnight. We left before dawn smelling better than we had in weeks!" 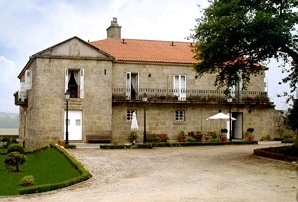 Hotel Pazo de Sedor is a 17th Century building, founded by Francisco Gonzalez do Vilar, a Fonseca resident, a lawyer of the Royal Magistrates Court of the Kingdom of Galicia and a war prosecutor of the time. It is situated only 20 minutes from Santiago, in a region well known for its rural landscapes and agricultural production. The first feature to catch the eye of the guest on the main facade is the balcony that runs from one side to the other and its great baroque chimney that crowns the roof. 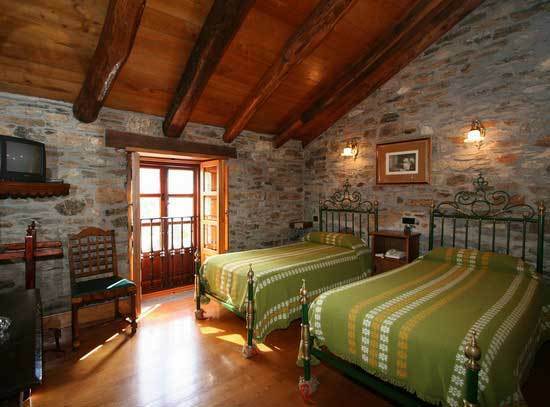 The stylish rooms at the Pazo feature a private balcony with views of the Galician countryside. 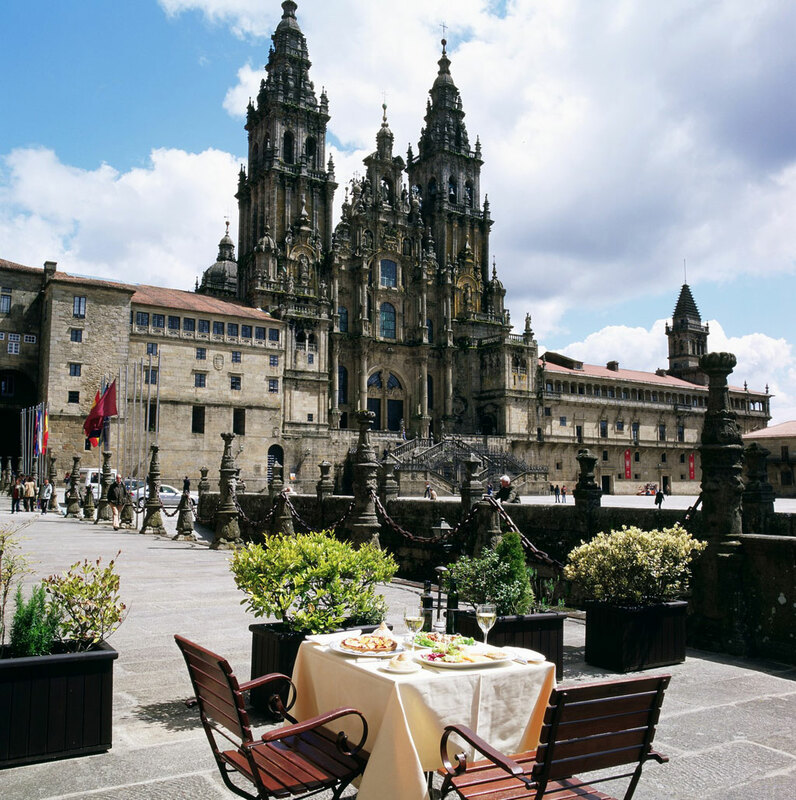 Hotel Parador Santiago de Compostela, a mixture of history, art and tradition and forming a magnificent corner of the main square with the Cathedral, in one of the most visited regional capitals in the world. It has four cloisters of immense beauty, elegant reception rooms, spectacular bedrooms and a luxurious dining room. Also known as Hostal dos Reis Catolicos it was originally a Royal Hospital and dates back to 1499. It provided lodging and shelter for the numerous pilgrims making their way to Santiago, an age old practice which continues to this day. It is considered to be the oldest hotel in the world and is also one of the most luxurious.